Israel’s Supreme Court overturned on Sunday, March 17, the disqualifications of Dr. Ofer Cassif, a Communist candidate from the Hadash-Ta’al political alliance, and the entire Balad-Ra’am (United Arab List) bloc from running in the April 9 general elections. The nine justices also unanimously confirmed Hadash-Ta’al’s right to run in the elections, which was being appealed before the court following the Central Elections Committee’s rejection of a petition calling for Hadash-Ta’al’s disqualification. The court did on Sunday ban Kahanist leader Michael Ben Ari from participating in next month’s electoral contest. Earlier this month, the Central Elections Committee disqualified Dr. Cassif and the Balad-United Arab List, in opposition to the expressed opinion of Attorney General Avichai Mendelblit. 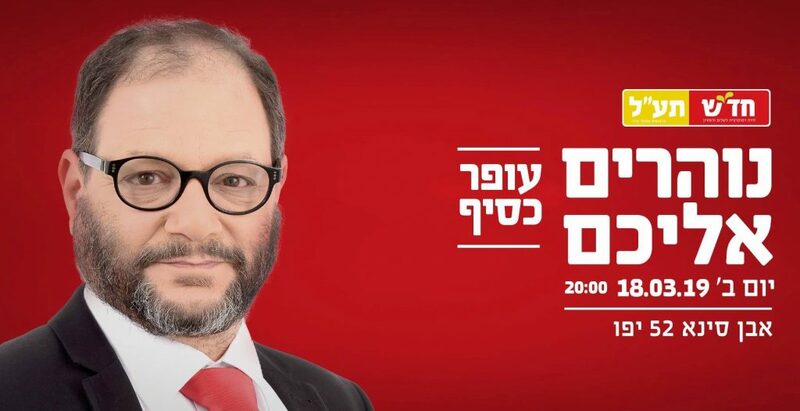 That same day, a petition against Ben Ari, the chair of the far-right and racist Otzma Yehudit party, failed to pass the committee, thereby giving him the right to run in the elections. The court’s decision to allow Cassif to run was made by an eight to one majority. Its decision to allow the running of Arab joint slate Balad-United Arab List was also made by an eight to one majority. The nine justices unanimously approved Hadash-Ta’al to run in the election. Sunday’s decision sets a precedent, as it is the first time that a single candidate – as opposed to an entire list – is barred from running, since the Knesset enacted the law allowing the banning of a specific candidate in 2002. The court’s decision to ban Ben Ari is backed by the opinion of the Attorney General, who stated that he was in favor of disqualifying the former MK from running for the 21st Knesset on the grounds of his incessant incitement against Arabs and a significant mass of evidence to prove it.